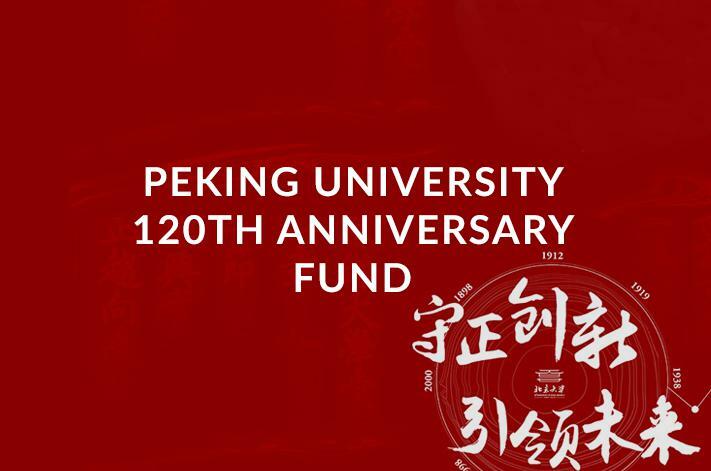 PKUEF (USA) is a 501(c)(3) nonprofit organization registered in the State of California raising funds in North American area to support Peking University’s long-term development and promote the U.S.-China cultural and people-to-people exchange. 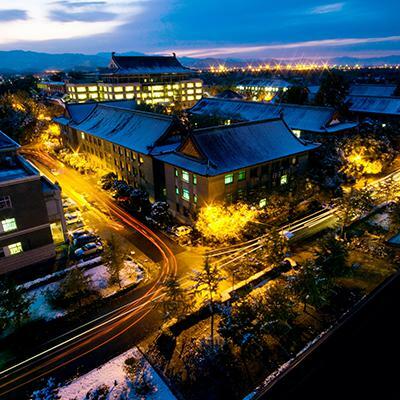 Peking University Education Foundation (USA) (“PKUEF (USA)”) was established in 2001 under the support from alumni and friends of Peking University (PKU) in the United States. 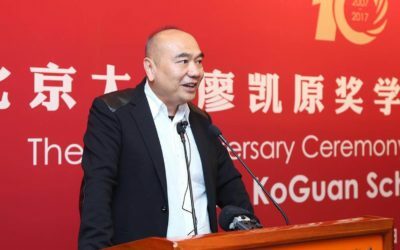 PKUEF (USA) is a California based nonprofit organization that qualifies for US federal tax exemption under Section 501(c)(3) of the Internal Revenue Code. 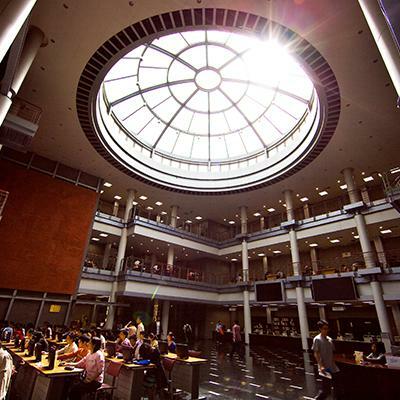 It’s mission and purpose are to strengthen ties between PKU and North America, raise funds from alumni and friends to support the University’s long-term development and promote the U.S.-China cultural and people-to-people exchange. 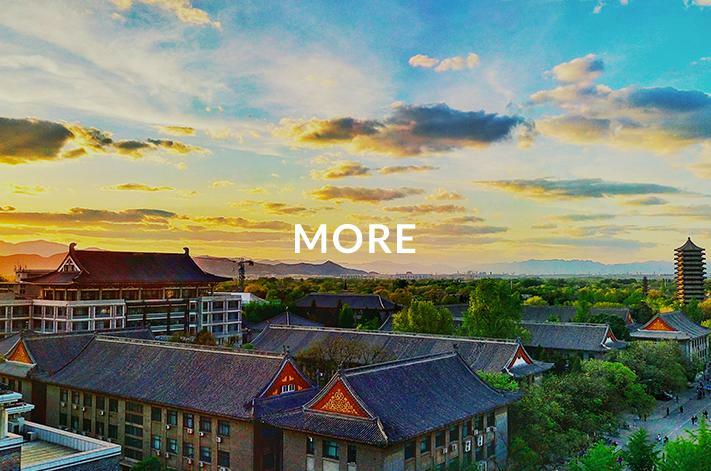 Explore stories of how your giving matters to Peking University and our community. 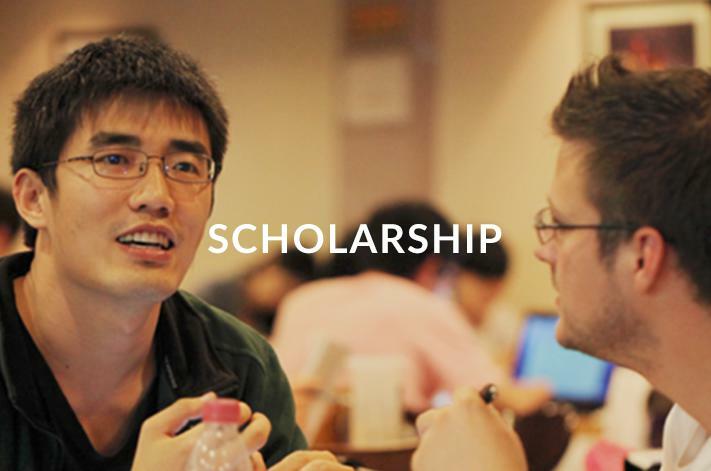 Explore how you could make a gift. 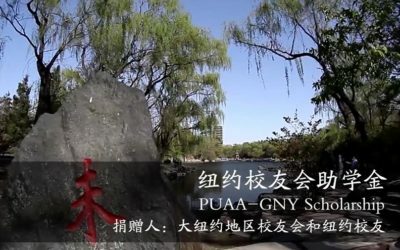 On the morning of December 25, 2018, officers of Peking University Education Foundation (USA) (PKUEF (USA)) and Peking University award-winning students who are supported by PKUEF (USA) scholarship programs exchange 2018 was successfully held at Peking University Education Foundation in Beijing. 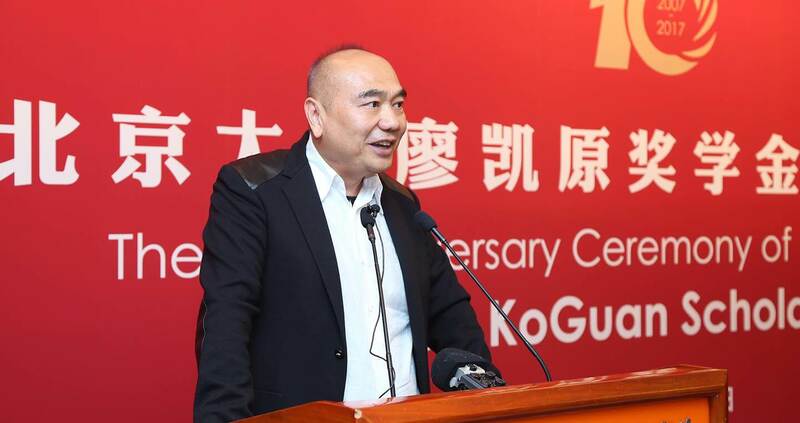 Yuning Li, Secretary General of Peking University Education Foundation, Lin Zhao, President of PKUEF (USA), and Liangyu Tang, Treasurer of PKUEF (USA) attended the meeting and had a cordial exchange with the representatives of the award-winning students. 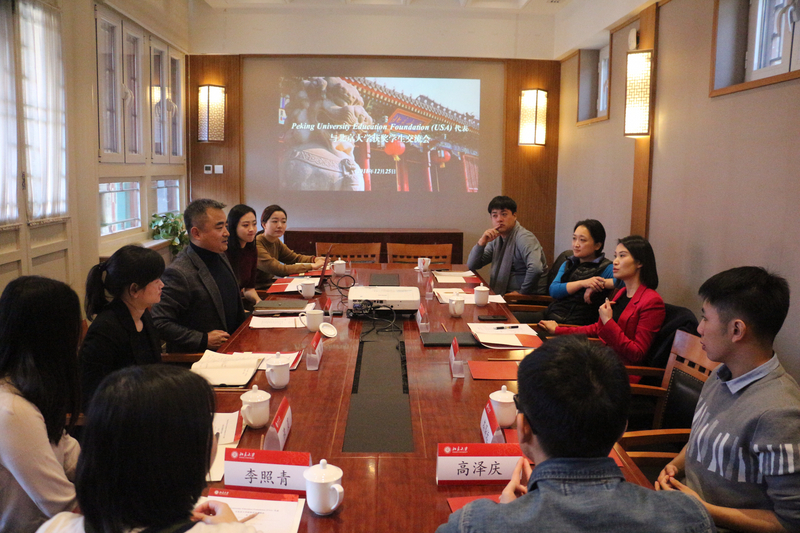 The meeting was hosted by Xiaowen Liao, Project Manager of Business Development of Peking University Education Foundation. 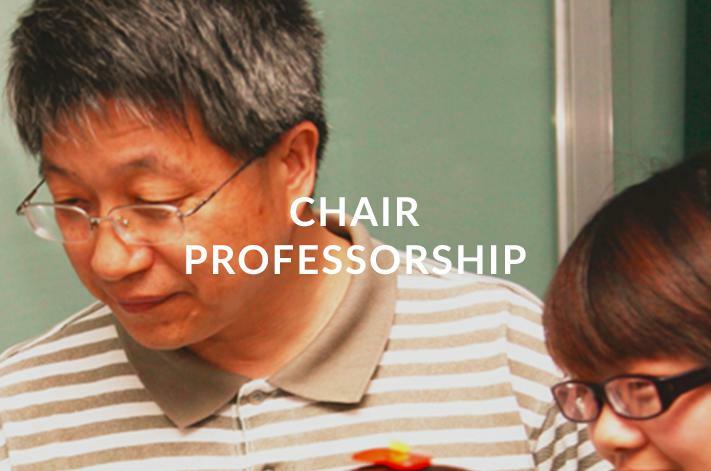 We need your generous support in our Scholarship, Chair Professorship and Peking University 120th Anniversary Fund.